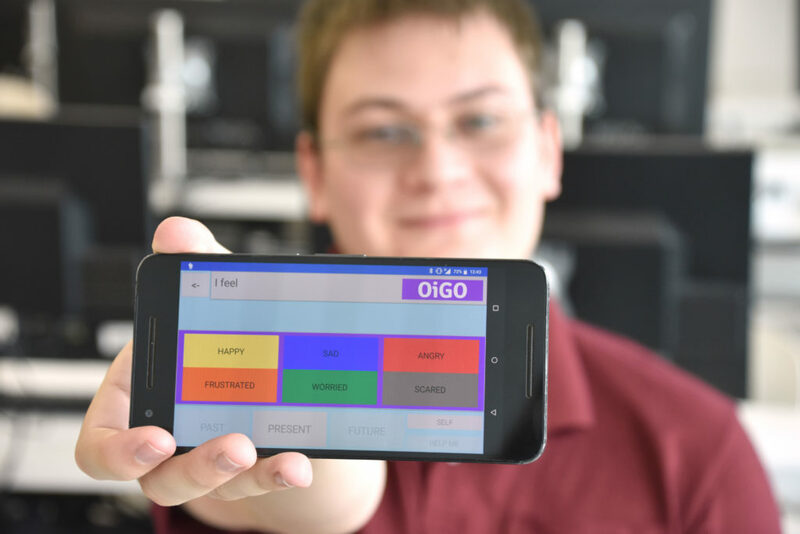 Jason Smith, a Florida Polytechnic University student, shows the mobile app OiGO. Smith is part of a group of five seniors collaborating with a local company to develop the app designed to help those with brain-based language impediments communicate with family, friends, care givers and health professionals. 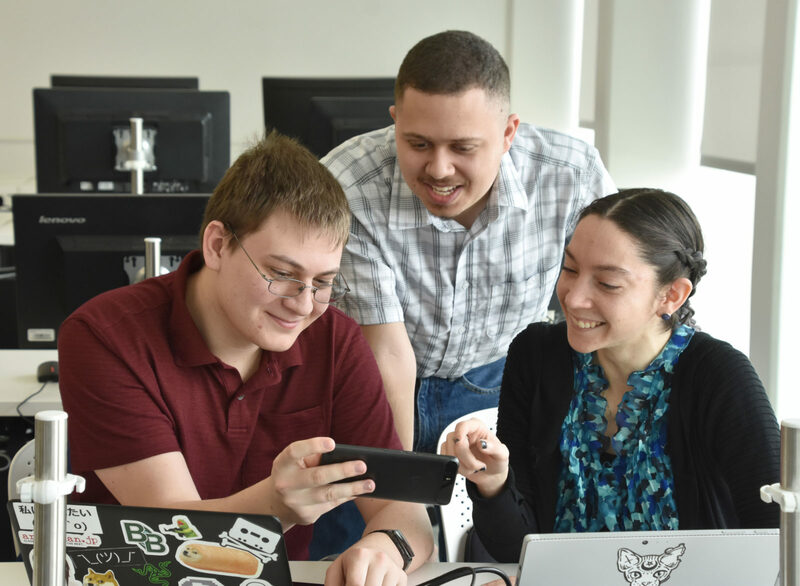 Jason Smith, left, Andrew Lopez, center, and Celeste Ramirez are some of the Florida Polytechnic University seniors who have been working on OiGO, an app designed to help those with brain-based language impediments communicate with family, friends, care givers, and health professionals.